Roasted broccoli is a simple go-to side dish. It's crunchy and mild in flavor so you can add your own spices or herbs. We also love adding broccoli to side dishes, pasta salads, and even breakfast dishes like quiche. Cut off the base of the large stem and discard. 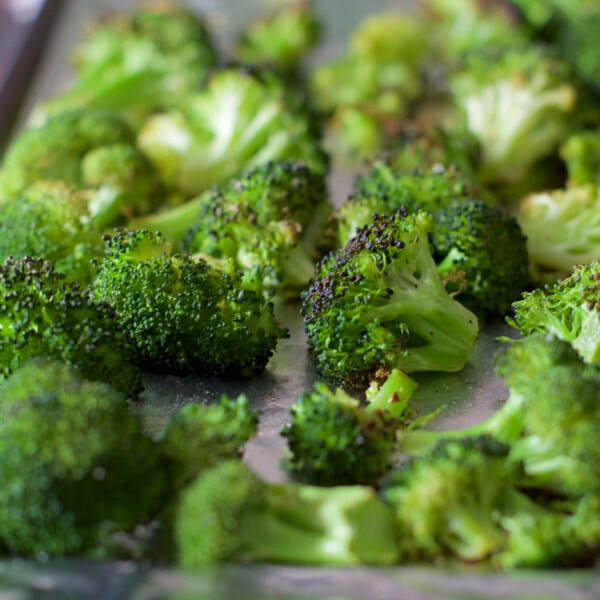 Cut the broccoli into small pieces and place the pieces onto a cookie sheet. Roast in the oven for 20-25 minutes or until slightly browned and crispy.